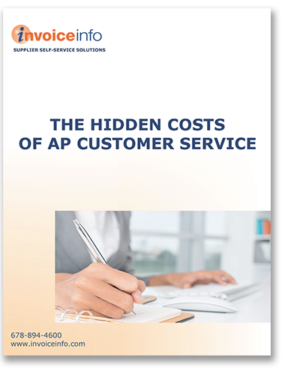 Most organizations track their invoice processing cost and perhaps payment cost, but current research finds that few look specifically at costs incurred by activities related to service accounts payable’s customers. There is a cost to the status quo that is often unmeasured and may be less effective and higher than it could be. By examining these activities and determining the costs, most organizations will find room to employ more effective and less costly means to reach objectives. There is an opportunity cost to suboptimal customer service. AP’s processes should be optimized and incorporate tools to balance cost with good customer service. Studies show the value of good supplier relationships to profitability. Supplier relations are impacted by requisite AP customer service to answer questions, maintain high data quality and address problems. By employing disciplined processes, training staff and implementing targeted, effective automation tools, organizations can remove friction in supplier interactions and further support supplier relationship strategies that improve the bottom line.